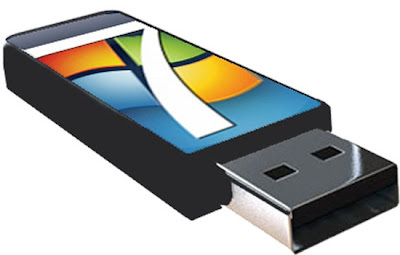 How to install windows 7 or windows xp from bootable usb flash drive .Follow this tutorial to know how to make your usb flash drive bootable . How to make bootable usb flash drive ? Hello my dear friends ,today I'll show you how you can make your usb flash drive bootable to install windows from it .Some times our CD or DVD drive is suddenly stopped working ,so you will ask how i can install windows in this difficult case .Well you must have usb flash drive to install windows from it , it must be at least 4GB if you will install windows 7 .Rufus tool software will do this task and make your usb flash drive bootable .After you make it bootable , you can install windows 7 to your computer faster than CD drive .Rufus tool is a windows 7 usb download tool. Now how you can make usb flash drive bootable ? OK , First you must download Rufus tool software from the link below on the end of this article , then you must have windows iso to burn it on usb flash drive through Rufus tool software . 1- Device : choose your usb flash drive . 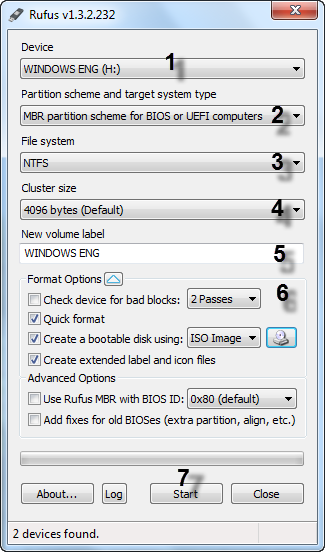 2- Partition system type : choose the first choice (MBR partition scheme for bios or UEFI computers) . 3- File system : Choose NTFS . 4- Cluster size : leave it by default . 5- New volume label : this is the label of your usb flash drive . 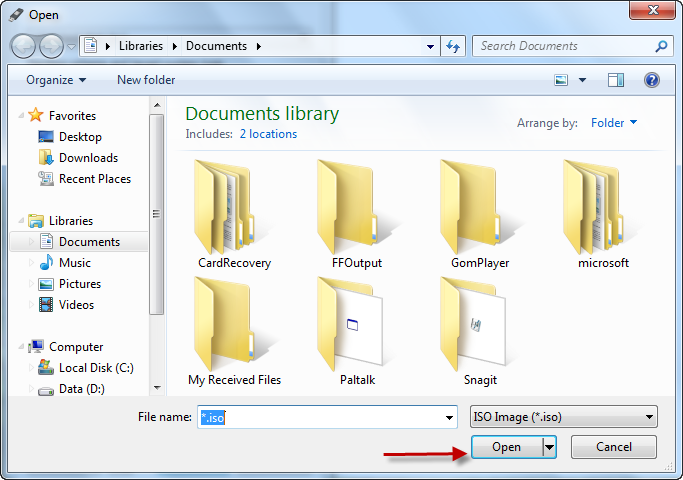 6- Format option : leave it all by default except option (create bootable disk using ) click on the symbol of CD drive then choose your windows ISO from your computer . 7- Start : press start to begin making your usb flash drive bootable . Wait until it finish . Now your usb flash drive become bootable . 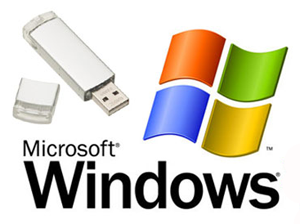 how to install windows from usb flash drive ? After we making our usb flash drive bootable , press delete or f2 or f10 when you open your laptop then choose boot sequence options ,make first boot is usb flash drive , you will see the name of your flash like sandisk usb flash drive ,then press f10 then yes .Your laptop will restart then press any key to start your windows 7 installation on your computer .